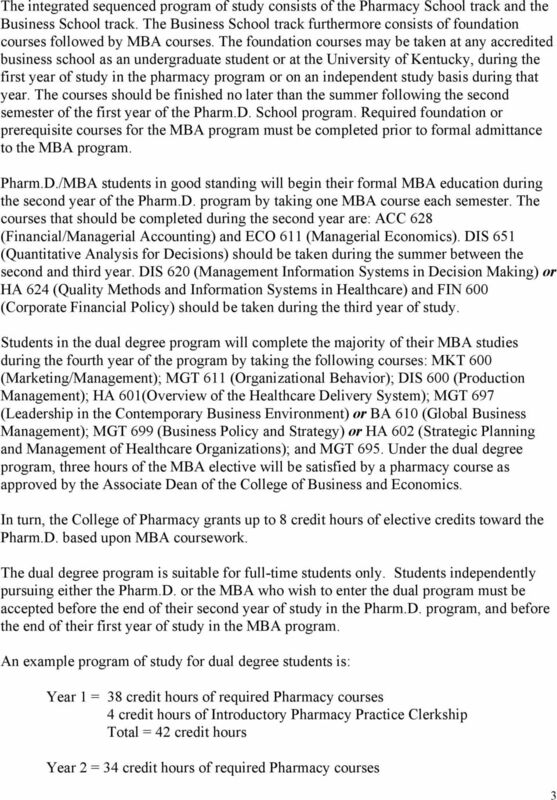 Download "The PharmD / MBA Dual Degree Program"
I am transmitting to you the Proposal for Pharm.D/MPH Dual Degree Program. 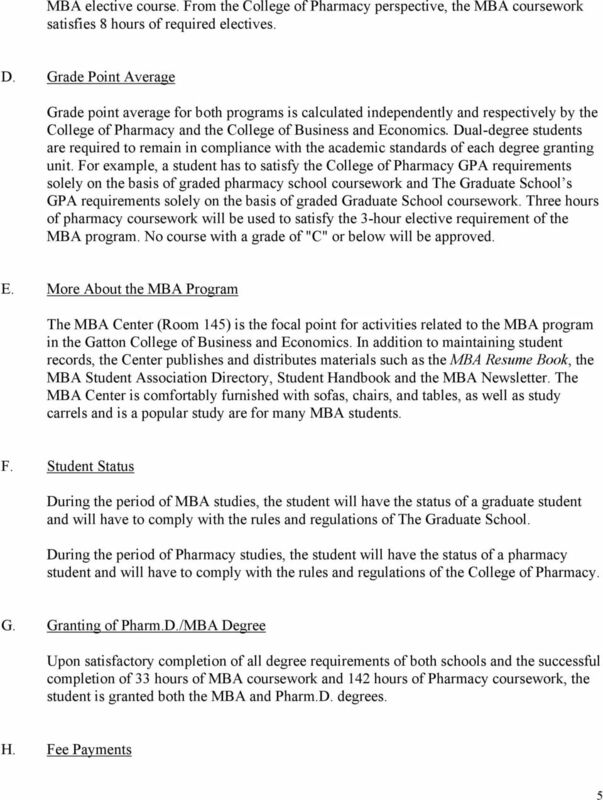 The Graduate Council approved this program on April 10, 2008. 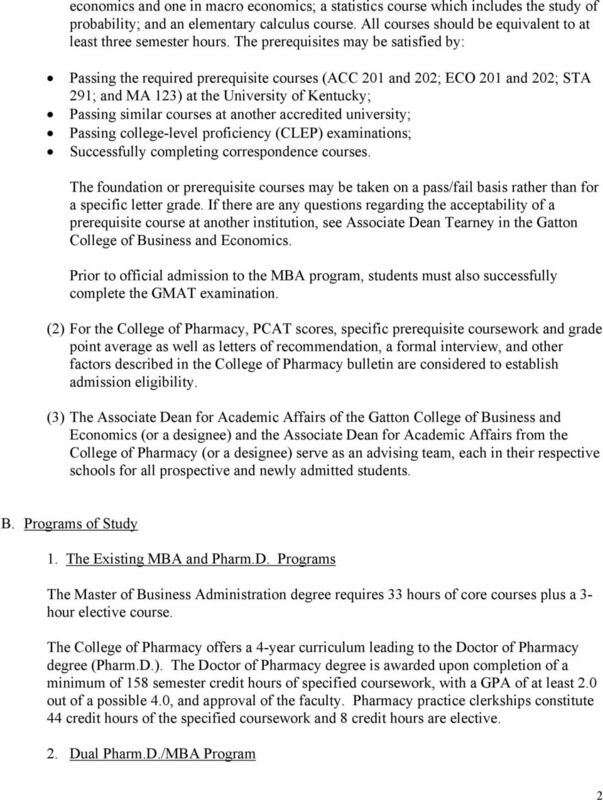 PharmD MBA Curriculum 1 DOCTOR OF PHARMACY and MASTERS OF BUSINESS ADMINISTRATION JOINT DEGREE PROGRAM University of Florida College of Pharmacy College of Business May 31, 2013 Michael W. McKenzie, Ph.D.
JOHN MASSEY SCHOOL OF BUSINESS MBA PROGRAM HIGHLIGHTS A. MBA Steps to Admission 2 B. 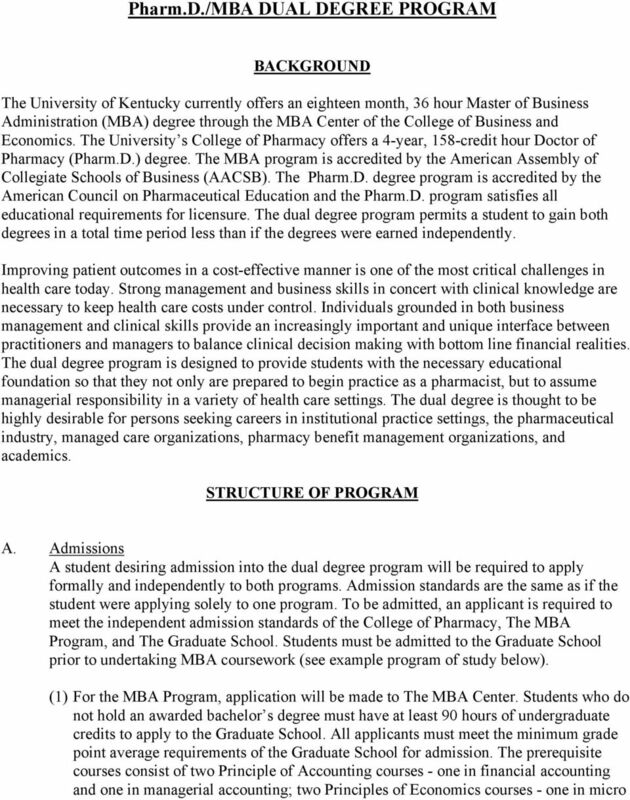 Recommended MBA Course Sequence 3 C. MBA Catalog Excerpt 4 D. Concentration Options 5 D. MBA Course Descriptions 6 E.
JOHN MASSEY SCHOOL OF BUSINESS MBA PROGRAM HIGHLIGHTS A. MBA Steps to Admission 2 B. 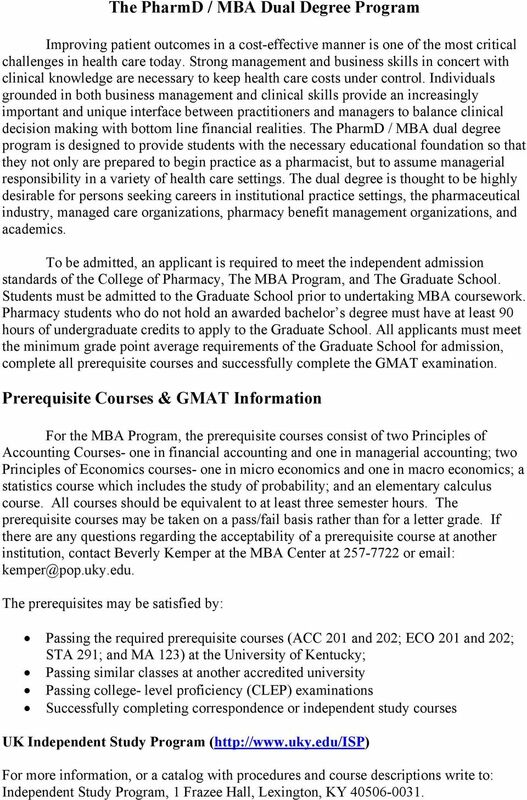 Recommended MBA Course Sequence 3 C. MBA Catalog Excerpt 4 D. Concentration Options 6 D. MBA Course Descriptions 7 E.
The University of Texas at San Antonio 1 4. College of Business Mission Statement The College of Business is dedicated to creating and sharing knowledge that enhances the translation of theory to practice. 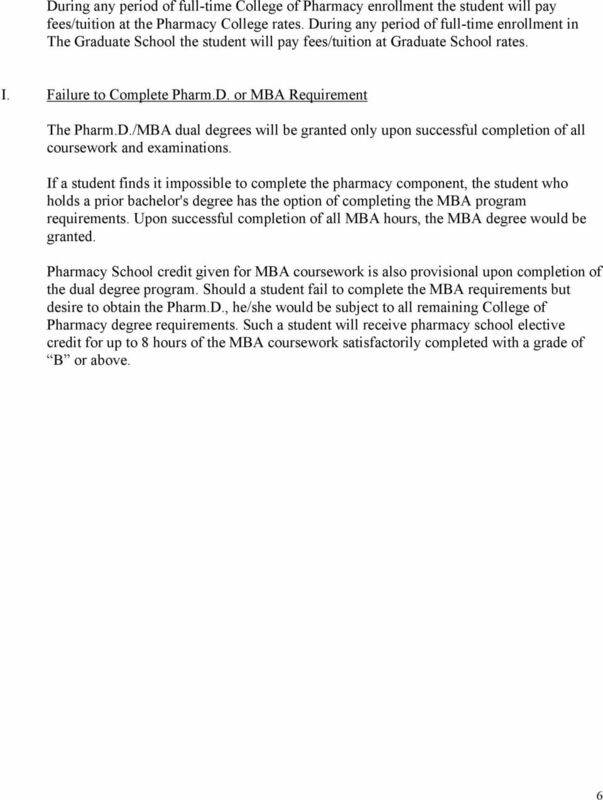 (B) Purpose ofpolicy To describe program requirements for the combined MD/MSBS, MD/MPH, MD/MSOH, MD/MBA, MD/JD and MD/PhD degree programs. This program is offered entirely ONLINE throughout the United States and in approved international locations. The Oakland University nursing programs are fully accredited by the Commission on Collegiate Nursing Education. APPLICATION PROCEDURES The Occupational Therapy Admissions Committee selects students for admission after they have met the general Tuskegee University requirements for admission to the Graduate Program. College of Business. Role and Mission. Idaho Falls Programs. EITC/Idaho State University Program. Undergraduate Curriculum Learning Goals. 2015-16 Idaho State University Undergraduate Catalog 1 College of Business Faculty Dean Thomas Ottaway, Ph.D. Associate Dean for Information Assurance Corey Schou, Ph.D. Associate Dean Joanne Tokle, Ph.D.
Students in the School of Business Administration are responsible for planning their own programs and for meeting degree requirements. 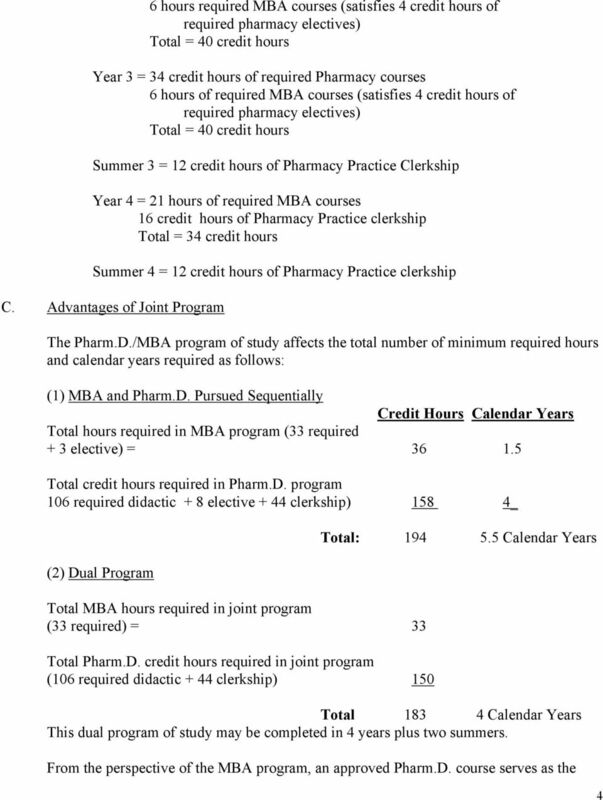 The requirements for the Doctor of Philosophy degree are the same as those listed in the general section of this Bulletin. 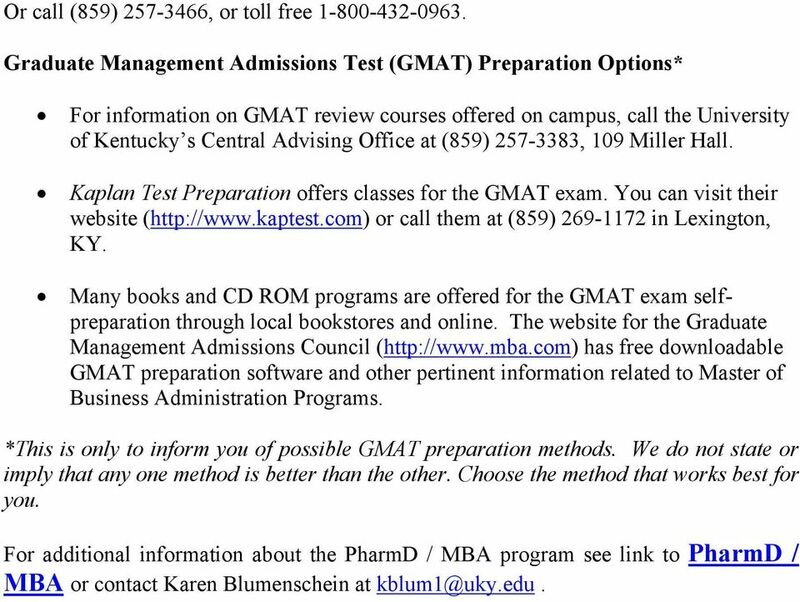 Qualifying as pre-business does not guarantee admission to the major. Admission to the College of Business is competitive and not guaranteed. Student Manual Ph.D. in International Business Administration A. R. Sanchez, Jr. School of Business Texas A&M International University February 17, 2004 Table of contents 1. Vision 3 2. Mission.. 3 3. Economics Department 4400 University Drive, MSN 3G4, Fairfax, VA 22030 Phone: 703-993-1135; Web: economics.gmu.edu Email: mjacksoq@gmu.